Sketching on a glass screen is quite the challenge. I love the limited set of tools in Paper by FiftyThree, but a feature that feels missing is the ability to select, manipulate and move pieces of your drawing around the canvas. 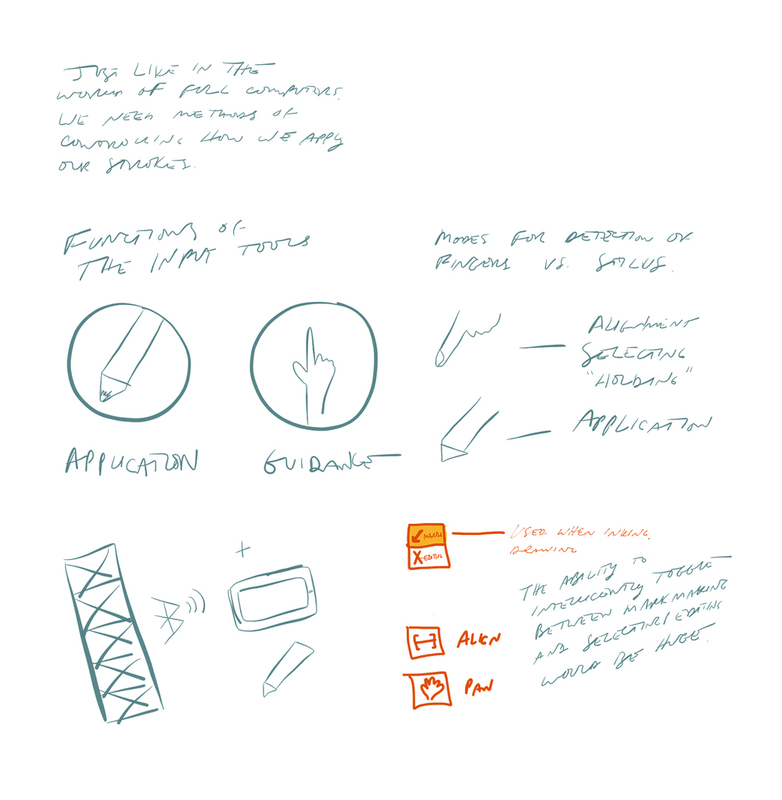 This is where I feel that differentiating input sources (finger vs. stylus) could be useful. Update: FiftyThree announced Pencil, with an update to how sources behave. Interested to see them take this even further.